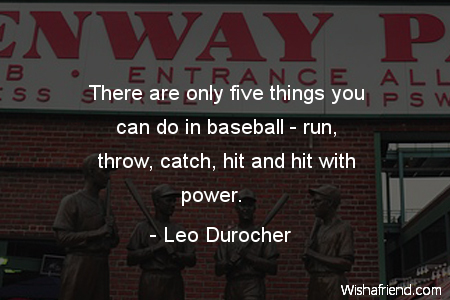 Leo Durocher Quote: There are only five things you can do in baseball - run, throw, catch, hit and hit with power. Browse our collection of Base Ball quotes and sayings. Share Base Ball quotes with friends and family.